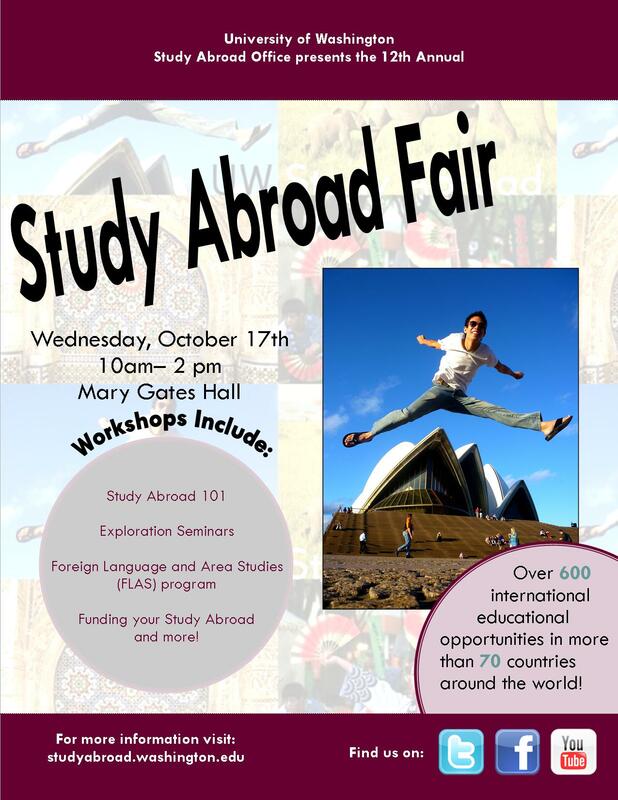 Event: UW Study Abroad Fair! The UW Study Abroad Office is hosting our 12th annual Study Abroad Fair on Wednesday, October 17 from 10 a.m. to 2 p.m. in Mary Gates Hall Commons. More than 40 exhibitors representing a wide array of international programs and internships will be available to speak with students about opportunities in international education.